Some events are limited attendance, so reserve your tickets early!! Storyteller Sheila Arnold will teach writers or want-to-be writers how to create or develop a story to tell or to be read. Within a few miles of your business or non-profit organization there are 20+ other businesses and organizations. Each one has a mission and focus. So, what makes yours stand out? Your story, of course. Craft it, digest it, market it, train with it…because your story is the only thing that sets you apart. In this workshop we will study the human science behind WHY story communication needs to be utilized within your business or non-profit, plus HOW to apply it to your day to day as well as your overall strategic plan, helping you to garner the greatest impact. Leave with new tools in your organizational tool box. After the workshop there will be a time set aside for tailored problem solving. Storyteller Kim Weitkamp has over 20 years of experience within the non-profit and business world as a director. That, along with her communication experience and knowledge of the power of story to transform, will springboard your organization to the next level…or pull it out of the rut that it has fallen into. Bring your own chair or blanket for the storytelling. An optional spaghetti dinner fundraiser by the Men’s Club of the First Christian Church will be held beforehand. Storyteller Paul Strickland frequently performs stand up comedy in the Cincinnati area. His stories will delight and leave you laughing, with just a touch of lesson. A sing/play along as part of the Hopewell Museum’s Free Fun Hour. Children and adults are invited to come hear some old time music and play or sing along with storytellers and musicians Sparky and Rhonda Rucker. Seating on the lawn, so feel free to bring your own blankets or folding chairs. A blend of songs and stories that parents and grandparents can share with their young children. Limited to 20 pre-school age children. An adult must accompany the child(ren). 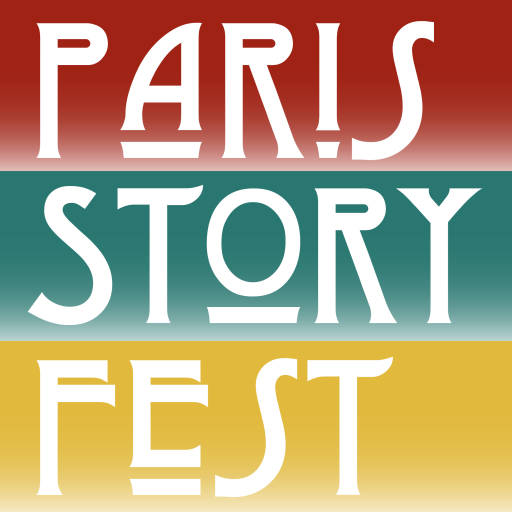 All are invited to share a story at the Hope Park in Downtown Paris. Please prepare a story no longer than 8 minutes. Sign up in advance or on site the day of the telling if time slots are still available. May be limited to 10 storytellers. Hay bales will be available for the audience to sit, eat lunch and listen. Enjoy a spectacular evening of music and storytelling inside the unique and historic Bourbon County Courthouse. Handicapped accessible. Reservations required. Storytellers will perform a 20-minute story during Church services. In addition, storytellers will also be visiting Nicholas County, Bourbon County, and Paris Independent Schools, Bourbon Heights Nursing Home, and the Joe Allen Adult Day Care on Friday. These events are not open to the public.